The risk of fire is the one traditionally considered to be the most serious risk on board a ship or a boat and is therefore the subject of special preventive measures, training of personnel, and plans for active protection. All ships, from the design and building stages in the yard, are built using criteria and materials making them safe and reliable from the point of view of fire prevention. As provided for by the various international regulations and the Company’s procedures, all fire protection systems and equipment are subjected to regular tests, trials and inspections. In the event of a fire, the ship’s structure itself is designed in order to isolate the fire, thus making it more manageable and less dangerous. To this end the ship is divided into main vertical areas, separated by special metal bulkheads of large thickness equipped with special fire doors with the same characteristics as the bulkheads, which, once closed, manually or from the navigating bridge, are fire-retarding divisions. The ventilation, air extraction and conditioning ducts are equipped with special fire dampers which automatically close in the event of high temperature in order to stop the air flow, in order to avoid to feed the fire. All ship spaces, including crew and passenger accommodation spaces, are equipped with fire detectors automatically signalling the presence of smoke or high temperature to the navigating bridge. Moreover, any person aboard can signal the outbreak of a fire by means of the numerous manually operated alarms located throughout the vessel. If the temperature reaches high levels, thousands of sprinkler heads (atomization plants/sprinklers), located on ceilings, are automatically activated. Some particularly hazardous spaces are protected by fixed fire-extinguishing systems (i.e. carbon dioxide for machinery spaces, steam for the galley kitchenette hoods, nebulized water for the deep-fryer, etc.). Throughout the vessel and in all spaces there are also hundreds of portable fire extinguishers of different kinds (for use in different types of fires) and permanent stations equipped with fire hoses connected to a pressurized water plant. The effectiveness of all fire-fighting equipment is ensured by regular maintenance and testing according to a precise schedule with set intervals. 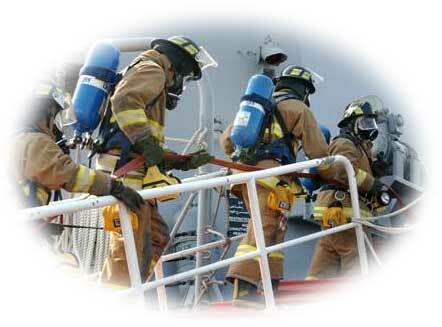 Fire-fighting teams, consisting of highly qualified trained experts are always aboard and take part in regular drills. In addition, all crew members participate in practical training sessions and theory courses during which they are taught how to react in case of fire or smoke, the use of fire-fighting equipment and procedures to be followed. These measures allowed the crew to promptly bring the fire, that broke out in the local generators on Costa Allegra, under control and extinguish it before impacting the safety of the passengers and crew. The captain sounded the general alarm as a precaution and passengers and crew assembled at the muster stations. 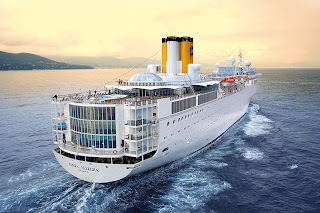 Costa Cruises continues to be plagued by disaster this year as the 28,500 ton 820 passenger ship experienced a fire in the engine generator room today at 10:39 CET knocking out power to the engines, lights, and air conditioning. The shipboard fire-extinguishing system and emergency procedures were activated promptly and special fire-fighting squads extinguished the fire. As a precaution, the general emergency alarm was sounded and all passengers and crew members not engaged in the management of the emergency reported to their muster stations. The fire did not spread to any other area of the ship and no injuries or casualties were reported. Inspections of the engine room are ongoing to determine if the equipment can be restarted. Currently the ship is more than 200 miles southwest of the Seychelles and approximately 20 miles from Alphonse Island. The general area where the ship is located, off the coast of Tanzania, has seen a rash of attacks by Somali pirates recently. There is an armed nine-member Italian military team on anti-pirate duty onboard the Allegra, as a precaution. Although there are no immediate threats, they are prepared to respond if necessary. Tugboats and other naval and aerial units have been dispatched to Costa Allegra. According to standard procedures, Costa Allegra transmitted a distress signal and the relevant authorities were alerted, including the Maritime Rescue Control Center in Rome, Italy. Costa Crociere and the relevant authorities are actively monitoring the situation. A French-flagged, 295-foot-long (90 meters) ocean-going fishing ship was the first to arrive on the scene of the stricken Allegra. The two captains are in contact with each other. At dawn, Costa will evaluate the assistance which can be provided by the fishing vessel. Additional vessels and aerial support should arrive during the day Tuesday. The Costa Allegra is adrift "and being pushed by the current. It is stable and upright," Giorgio Moretti, the director of nautical operations for Costa Crociere SpA, told reporters in a conference call late Monday from company headquarters in Genoa, Italy. Costa has reached out to all the families and relatives of the passengers and crew via the emergency contact numbers. As of late in the evening over 400 of the passenger's families had been notified. There is an emergency contact number active (above) for those that have not been in direct contact with the company already. We will continue to monitor this situation and provide updates as appropriate. Carnival CEO Micky Arison announced to Wall Street that Costa Allegra would not return to service. It will either be sold or scrapped in the wake of the fire. It had been on the chopping block before the fire, since it is the oldest and smallest ship in the Costa fleet. Similar to totaling an old car, following an accident, the company has written off the value of the ship on its books since the cost to repair exceeds its value. The company has not determined how long it will take to repair and bring Costa Allegra back into service and restore planned cruises. Costa Cruises continues to conduct inspections and technical evaluations to ascertain what caused the generator-room fire. Costa Voyager will replace Costa Allegra's Mediterranean and Northern Europe cruises starting March 18th thru the summer. See the following article for complete details. 6.00 pm (CET) - Costa reported the completion of 2 hour disembarkation process by midday local time. Costa indicated that "Guests and crew are in good health and no critical situations have been found." The Seychelles Red Cross and consular and embassy officials were in port to assist their citizens. According to press reports, passengers described the conditions as hot and dirty due to the lack of power for air conditioning and sanitary needs. They also indicated an initial organization when the alarm was sounded along with panic, especially among guests that were separated from loved ones at the time. Fortunately, the crew did their jobs and it wasn't necessary to abandon ship into the lifeboats that had been deployed. 9:00 AM CET - Costa Allegra docked at Port Victoria - Mahé, Guests disembarkation has started. After three days at sea without power, Costa Allegra arrived in port and began disembarking passengers. Costa Cruises has a 14-member "Care Team" onsite to assist with the process. 376 guests out of 627 have accepted Costa Cruises’ proposal to continue their vacation in Seychelles. They will be accommodated at Costa Cruises’ expense, in high-quality hotels on the following islands: Praslin, La Digue, Silhouette and Cerfs. Costa Cruises also arranged homeward flights at the end of their vacation. The remaining 251 guests decided to return to their homes on flights arranged by Costa Cruises, departing Mahé Thursday evening, March 1. In a press conference in Mahe', Seychelles, where the Costa Allegra cruise liner arrived this morning, Costa Allegra Captain Niccolo' Alba reported: the fire was extinguished "in an hour" and the behaviour of all staff members on board was "outstanding". During the press conference broadcast live on SkyTg24, Captain Alba stated "The Costa Allegra staff was great. The behaviour of all staff members on board was "outstanding". Captain Alba also underscored "They all followed my instructions to the letter, and they all behaved as great professionals." 8 members of the "Care Team" and 2 Seychelles Immigration Officers to board ship Wed. The original plans were to tow the ship to Desroches island and disembark the passengers there. In fact, passengers were told to prepare their baggage for arrival in the morning. After review by Costa and other Maritime officials, it was determined that the island didn't have the necessary infrastructure to support the safe disembarkation of the passengers. Also, there was a lack of hotels which would have meant the passengers would have to be ferried to Mahé / Seychelles by tenders. That process would have taken as long as towing the ship directly instead and thus the plans were changed. Additional tugs will be employed to hasten the journey to the new disembarkation point. Helicopters will provide essentials such as food and comfort supplies as needed. Costa Cruises is working with all the Authorities responsible for the coordination of the emergency, to ensure the best possible assistance to all our guests and make their discomfort as short as possible and to reach their next destination. The Company is sincerely sorry for the inconvenience: absolute priority is to make it as short as possible. Despite the bad news that another Costa cruise ship was involved in an emergency situation, it appears that emergency procedures were followed, authorities notified, and the passengers and crew are safe. Congratulations to the captain and crew for handling the emergency situation without incident. The ship departed Saturday, Feb. 25, from Diego Suarez, Madagascar, and was cruising toward the port of Victoria (Mahè, Seychelles) where it was scheduled to arrive Feb. 28. Last night Tinsel Town was all aglow as the world's finest in the motion picture industry gathered for the 84th Annual Academy Awards Ceremony. The ladies and gents arrived early to parade down the red carpet displaying their gowns, jewelry, and finest dinner attire. Families across the world gathered to watch as the show unfolded. Who would be best dressed? Who would win the coveted Oscar Statues for leading roles or best movie? 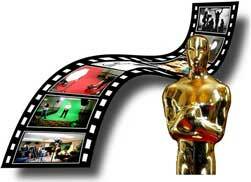 As always, there were several well-known actors and actresses in the running as well as some new-comers. Did you watch the Oscars? Were you comfortable in your living room - or perhaps you were poolside somewhere in one of the oceans of the world on a cruise ship. Are you now in the mood for a good movie? Perhaps you want to watch one of the nominated films that you haven't seen. A cruise ship innovation when it debuted aboard Caribbean Princess in 2004, Princess' "Movies Under the Stars" outdoor theaters have become one of the line's now-signature features, adding an innovative way for passengers to enjoy the latest films, family fare, sporting events, and other special programming while relaxing at the pool. The million-dollar screens have been added to ships across the fleet. Each state-of-the-art Times Square-style LED (Light Emitting Diode) screen is more than 300 square feet in size with a 69,000-watt sound system and has sufficient lighting power to be seen clearly at mid-day and heard clearly even while the ship is moving at full speed -- offering passengers a movie experience comparable to the best shoreside movie theater. As with any cruise ship innovation that is well received, many other cruise lines have adopted these big-screens. If the Oscars got you in the mood for a movie, why don't you double your fun by viewing it on a cruise ship? In the wake of the Costa Concordia disaster, there has been much press coverage about the course deviation which the captain made as he approached the island of Giglio. Most often course deviations occur because of sea and weather conditions, in order to provide a safe and comfortable cruise experience for the passengers and crew. Rarely, a more radical deviation might occur to avoid a port in the wake of a disaster, political unrest, or increase in crime. Equally rare are deviations in response to a distress call. Under maritime law, the captain of a vessel is required to provide assistance under those circumstances. 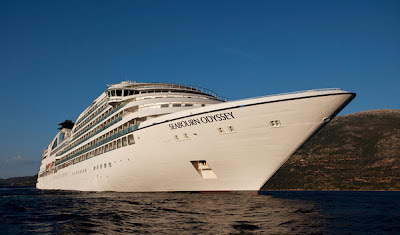 On Sunday, February 19th, Seabourn Odyssey was sailing the Pacific Ocean some 150 miles southwest of Pago Pago, America Samoa during it's World Cruise journey. Unbeknownst to the Captain and crew at that time, three men had set out to sea in a small fishing boat from Apia in Western Samoa three weeks earlier, with the goal of bringing back a chest full of fresh seafood. Unfortunately, they ran out of fuel and drifted further and further away, surviving on their catch of fish and rain water. Families of the three fishermen had been preparing funeral services as earlier rescue efforts, led by the New Zealand Air Force and the United States Coast Guard, had been called off. The men had no distress flares or means of radio communication, so they were literally on their own in the middle of the largest body of water on earth. The portside bridge watch alerted Captain Mark Dexter to something in the distance which appeared to be a boat. Not finding any missing vessel reports, the captain still wondered why this boat would be so far from land. He deviated from his course to investigate further and spotted a small boat adrift some miles away from the ship. As they drew closer, they saw three men jumping and frantically waving their clothing, clearly trying to catch the attention of Seabourn Odyssey. The ship deployed one of its rescue boats and, after determining that they were no threat, rescued the three fishermen who had been lost at sea for nearly three weeks! The men were transferred from the rescue craft to the ship and immediately examined by the ship's doctor. They were in surprisingly good health considering the amount of time they were exposed to the elements in the middle of the Pacific Ocean. Upon examination, it was found that the men were dehydrated, hungry, and had a few skin sores from the sun. After getting examined, changing into fresh clothes, and eating, the fishermen told of their ordeal and provided contact information for their employer. When he was notified, he bust out into joyful tears. The families changed their funeral plans to welcome home plans. The Odyssey notified the U.S. Coast Guard who assisted in returning the men home when the ship docked in Pago Pago Monday morning. The captain had kept the passengers informed throughout the rescue exercise. The passengers were so moved by the whole experience that they collected funds to give to the fishermen. When the men disembarked the ship, they each had $800 donated by the guests to help them purchase a new fishing boat. Bravo Captain Dexter & Crew !! Thanks to the watchful eyes of Seabourn Odyssey’s bridge watch, and the curiosity of Captain Dexter, the three fishermen were saved and will live to tell their terrifying tale. This course deviation had a happy ending. This is the second rescue involving a Seabourn ship in less than a year. Photos: Courtesy of Seabourn Cruise Line Ltd.
About a year ago, we wrote about Viking River Cruises plans to build four new river cruise vessels debuting Spring 2012 in Europe with six more ships planned to be built by 2014. The cost of those new ships for 2012 was $120M out of a total budget of $250M for the project. Viking had planned to release the four ships simultaneously this March, a very ambitious endeavor. Unfortunately, two of the ships, Viking Freya and Viking Njord, will not be ready until mid-April forcing Viking to cancel several sailings. Guests impacted by the delay are being offered the chance to rebook a similar itinerary on a different ship and receive up to a 50 percent credit on a future cruise booking; or if they choose not to rebook, a full refund. Sneak Preview: 3D renderings of the new Viking Longships, debuting in Europe in 2012. Viking Freya, Viking Idun, Viking Njord and Viking Odin. 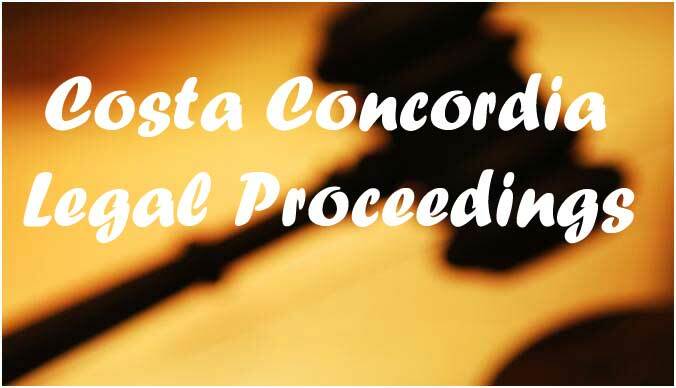 This post will serve as the anchor post for all Costa Concordia legal matters. 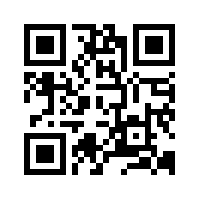 Information will be contained in the body of this post or links will point you to the story. Under Italian law, he now has two appeals before actually serving the prison sentence. A court in Italy has convicted five people of manslaughter over the Costa Concordia shipwreck off Giglio island which killed 32 people in January 2012. The plea bargains were accepted by the court. Judge Valeria Montesarchio confirmed at a courthouse in Grosseto, central Italy that problems analyzing the "black box" (Voyage Data Recorder - VDR) caused an adjournment of the pre-trial hearing until October 15, 2012. Captain Francesco Schettino, who denies accusations of manslaughter, causing a shipwreck and abandoning ship before all those aboard were evacuated, will not attend the proceedings in the town of Grosseto according to his lawyer. He indicated that it would be "unnecessary" for him to attend and it could be dangerous in light of the climate surrounding the proceedings. According to Italy's La Repubblica newspaper, more than 250 are already in the town as 70 lawyers and their teams arrive to represent survivors and relatives of victims in the legal proceedings. The public and members of the press will not be allowed to attend. Evidence and testimony, which has been gathered since the accident, will be presented to a court-appointed panel of experts made up of two naval experts and two academics. In a process that may take several months, these experts will have the task of reconstructing what happened and apportion degrees of culpability and blame. Besides looking at Captain Schettino, the investigation will also look at the decisions and actions of Costa's vice-president, Manfred Ursprunger, and the head of its crisis unit, Roberto Ferrarini, with whom the captain was in contact during the evacuation. The ship's first officer, Ciro Ambrosio, is also under investigation. He was second in command of the vessel at the time. Reports by the four experts, appointed at the hearing in the Tuscan city Grosetto, are due to be presented on July 21. A suit filed in the state of Florida back in January, on behalf of 6 individuals who were onboard the Costa Concordia when it struck the rocky coastline January 13th, listed, and eventually was abandoned, was amended February 13th adding an additional 36 plaintiffs. A consumer protection agency in Italy had expressed its intent to file a class action suit shortly after the incident occurred. They are partnered with two U.S.-based law firms for this amended action. The attorneys clarified the nature of their lawsuit indicating that it is not a class action. “Although previous reports indicated a class action was filed, this is incorrect. No class certification is sought as the respective losses and injuries suffered by each plaintiff is unique,” according to a statement from the attorneys. The law firms are Napoli Bern Ripka Shkolnik & Associates (with offices in New York and Florida), New York-based Proner & Proner and Florida law firm Colson Hicks Eidson, along with Codacons, a consumer-protection association in Italy. The suit accuses the ship’s owners of gross negligence and fraud, and asks for at least US $528-million in damages. Specifically it asks for more than $78 million in compensatory damages and at least US $450-million in punitive damages, plus interest and attorney costs. The amended lawsuit was filed on Tuesday in the state circuit court in Miami against Carnival Corp, which is incorporated in Panama and headquartered in Miami, and several of its subsidiaries, including Florida-based Costa Cruise Lines and Costa Crociere, which is based in Italy and operated the Costa Concordia. “Plaintiffs found themselves in a listing, capsizing, sinking vessel without communication, direction or help from the captain and misdirection from the crew from approximately 9:45 p.m. to approximately 11 p.m. and were left to fend for themselves,” the lawsuit said. It alleges that the cruise company committed fraud in claiming that it complied with safety regulations, and that the online version of the agreement passengers had to accept in order to buy tickets did not include complete details. Meanwhile, as we had reported in Compensation Guidelines Costa Concordia, those passengers who survived the incident and were not injured had been offered a settlement, of US $14,500 plus a refund and costs of travel home. Passengers originally had a deadline of February 14 to respond, but the corporation has now extended the deadline to March 31st. Carnival said it extended the deadline to allow passengers time to review the offer with less urgency. “The families of deceased and missing victims and guests who were injured will be covered under a separate proposal based on their individual circumstances,” the cruise line said. An Italian court refused February 7th to lift an order of house arrest for Francesco Schettino, the captain of Costa Concordia cruise ship that ran aground off a Tuscan island last month. His pretrial hearing is scheduled for March 20th. If convicted on all charges, Schettino could be imprisoned for a term exceeding 2,500 years. Today in the Tuscany village of Giglio island, people gathered for a memorial service honoring the victims and missing of the Costa Concordia accident. To date, 17 victims have been found and 15 are still unaccounted for and presumed lost. One month later, it is fitting to pause and remember all the victims of this tragedy. Family members, of people still missing, boarded a small boat that took them 50 meters from the stricken cruise ship, where they tossed bouquets of red roses into the sea. Among family members at the scene of the tragedy was Susy Albertini, the mother of 5-year-old Dayana Arlotti, who was traveling with her father William, who is also missing. Kevin Rebello, the brother of a missing waiter from India, also attended, as did the families of missing French and German passengers. One month later, they have not given up hope. "I haven't lost hope yet, anything can still happen, a miracle. He may be injured, he may have lost consciousness, anything may have happened. I still have hope, I always have hope, hope is the last thing to die," Rebello said. "I hope I will find him as soon as possible, to bring him home." "The feeling that has always been with me during these 30 days and today is sorrow. Sorrow for those who died, for those who are missing," said the Rev. Lorenzo Pasquotti. On Sunday, Italian President Giorgio Napolitano, and other senior officials, attended a memorial mass in Rome for the victims of last month's shipwreck of the Costa Concordia. The mass in the central Basilica of St Mary of the Angels was presided over by the secretary general of Italy's Catholic episcopal council, Bishop Mariano Crociata. What should have been a happy evening January 13th for more than 4,200 people, quickly turned to sadness as the ship sailed by in salute to the people of Giglio and struck the rocky coastline. It began to fill with water from the gash torn into the hull. After much confusion, the order was finally given to abandon ship. Through the miracles of modern technology, we had a front row seat for the unfolding story of the sunken cruise liner. Rescue workers braved the chilly Mediterranean waters and put their lives on the line to try to find missing passengers and crew. Images and video emerged showing real-time footage of everything from passengers waiting to abandon ship, to the aftermath with all the activity in the port. Captain Francesco Schettino, who was in command of the vessel, has come under fire for his actions during the crisis. Among those vivid images we saw the captain arrested and taken away by Italian authorities. Since that time, he has been put under house arrest and has begun answering questions posed to him by the court. He has already been "tried and convicted" in the court of public opinion and even Costa Cruises has distanced itself from him. Search and rescue operations began once the abandoned ship order was given and continued around the clock for days. In the middle of the second week following the accident, the weather changed, making it hazardous for rescue operations to continue. About the same time, there was growing concern that the fuel oil could contaminate the pristine Tuscany waters and preparation activities began to remove the fuel. The actual start of the fuel extraction didn't occur until yesterday, nearly a month since the tragedy. The bad weather halted further searches for bodies. There are 15 people still unaccounted for and presumed to have perished in the accident. Identification and notification of the remains that were recovered was difficult in most cases. For the families of the remaining victims, there is no closure. It was just announced that the family of missing Minnesota couple, Gerald and Barbara Heil, plan to hold a memorial for them next weekend to celebrate their life. There are many untold stories from the events that started a month ago today. Over time, the truth will hopefully come out explaining what went wrong. More importantly, measures will be put in place to prevent something like this from happening ever again. National Geographic premiered Italian Cruise Ship Disaster: The Untold Stories last night which weaves accounts of the tragedy from passengers, crew members and the Coast Guard and features never-before-seen video and CGI to reconstruct the ship's sinking as it happened. An encore presentation of the documentary will be aired tonight at 10 PM Eastern. In the days and months ahead, we will learn more about this event and the heroism that was exhibited by the various emergency responders. In all of our lives there are historic events that stand out and are remembered. Ask an American, who was alive at the time, where they were when President Kennedy was shot or where they were on 9/11, and they can tell you. This too will be remembered. We have been cruising for about 30 years and have had many early arrivals into port. Most of the time, we are still in bed as the ship pulls into the harbor. If we have a balcony, we may go out on the veranda to get a glimpse as we arrive. More often than not, we are already docked when we go out for our first look around. The Captain or Cruise Directory usually says something about the next port the night before we arrive. They usually describe the weather and call passengers attention to anything that stands out in their minds. "We should be arriving in Venice around 7 AM and I encourage you to be up on deck to watch the sail in" said the captain. "This is a view that you won't want to miss. It will be one of your highlights of the entire cruise". 7 AM, are you kidding me? I'm on vacation and we don't get up that early. (those were the thoughts going through our mind, however...) If the Captain is making this big a deal about it, then we should probably listen to him or we'll regret it later. After all, we did get up on deck by 5 AM for sail into the Panama Canal and we haven't regretted that to this day, many years later. OK, we'll get up, but we aren't going alone. Our traveling companions were going to be up there with us. 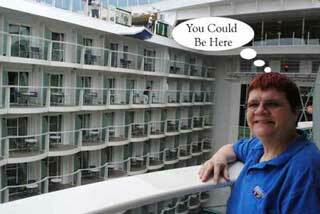 The four of us found a good vantage point out on deck and got ready for our arrival. The picture above was our very first image of Venice as we started sailing into the harbor. The skies were still overcast from the evening as the sun hadn't started to rise yet. Even the sun is still asleep, what are we doing up? All we could see from our vantage point was a beacon. And then it happened... We started to see the cathedral spires and other buildings in the distance. As we got closer, we could see bridges and canal passages that darted between buildings. The harbor was full of life as boats of all sizes darted along side of us. Some were carrying passengers while others had various supplies. There was a fisherman who glanced up as we sailed past his small boat. The captain has a pretty good view as we sailed in. On Star Princess, the bridge has a glass enclosed platform, on each side of the ship, where the captain or other staff can get a birds-eye view of our surroundings. We were seeing the same thing as he was, just a little later as the ship moved slowly along the lagoon. Continuing our sail in along the Venetian Lagoon, we pass The Doge's Palace, a gothic palace which was the residence of the Doge of Venice, the supreme authority of the Republic of Venice. Just beyond Doge's Palace is St. Mark's Square, perhaps the most well-known attraction in Venice. The Captain was right - what a view from this perspective of all the sights of Venice. This was only the beginning, as we hadn't even arrived at our docking place yet. After breakfast, we'd set out to explore the city on water from two other vantage points - from the water, in a water taxi and later a gondola, and on foot. Two other ships had already arrived in Venice ahead of us - Royal Caribbean Voyager of the Seas and Seabourn Spirit. We would sail past both ships before finally docking in our berth. The journey along the Venetian Lagoon had taken about an hour. Many lasting memories had been captured on film and in our minds during that time. We are so grateful to the Captain who encouraged us not to miss this sail in. Come back again to read more about our time in Venice. 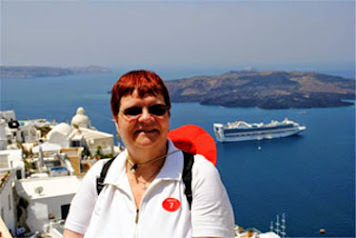 Search our blog for other pictures and stories about our Mediterranean & Greek Isles Cruise or see: Diary of Cruise with Chris to Greek Isles. Why not plan your own Venetian memories today? We'd be glad to offer our advice and help you plan. Every change in cruise ship deployment results in "winners" and "losers". If you are on the East Coast, you can consider yourself in the win column of this redeployment announced by Carnival Cruises. Carnival will reposition Carnival Miracle to the West Coast following a special Panama Canal voyage, and bring Carnival Splendor to New York, following three spectacular South America cruises. Carnival Splendor, a four-year-old, 3,006-passenger ship, will be redeployed in spring 2013 to New York City, where it will sail year-round Caribbean, Bahamas and Florida cruises. The Splendor had sailed year-round itineraries from Long Beach-to-Mexico since 2009. The Splendor will be upgraded with Fun Ship 2.0 amenities in a Q4 2012 dry dock. Beginning March 23, 2013, Carnival Splendor will launch a year-round schedule of eight-day Caribbean cruises from New York with three uniquely different itineraries that showcase the brilliant diversity of destinations throughout the Caribbean, Bahamas and Florida. The eight-day itineraries include Bahamas/Florida cruises with port calls to Port Canaveral (Orlando), Fla., Nassau and Freeport, The Bahamas; Eastern Caribbean departures with visits to San Juan, Puerto Rico, St. Thomas, U.S.V.I. and Grand Turk; and Exotic Eastern Caribbean cruises to the private Bahamian island of Half Moon Cay, Grand Turk and Nassau. There will also be a special seven-day Bermuda cruise departing April 16, 2013. The "losers" in this redeployment appear to be those passengers hoping to go to the Mexican Riviera and other parts west from their own backyard port in Long Beach, CA. All the major cruise lines have been gradually redeploying their ships from the West Coast market, citing increased violence and drug-related incidents in Mexico. While on the surface that seems to make sense, given news reports, one has to wonder if that were really the case, would there be any ships sailing there at all. So, the real truth is that the cruise lines just aren't making the amount of money they'd hope for in that market. Carnival Miracle, an eight-year-old, 2,124-passenger ship, will move from the Big Apple to the West Coast in Spring 2013. 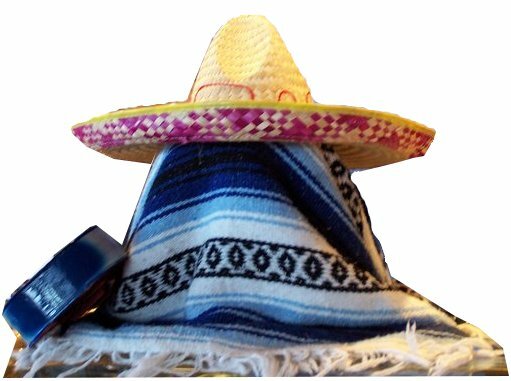 The Miracle will sail a seasonal Mexican Riviera itinerary along with Alaska and Hawaii itineraries which had currently been offered on Carnival Spirit. Carnival Miracle recently underwent its facelift with the addition of the adults-only Serenity and other enhancements. Carnival Miracle will operate a 15-day Panama Canal cruise from New York to Long Beach March 16-31, 2013, positioning the vessel for its year-round West Coast deployment. In addition to the unforgettable experience of transiting the Panama Canal, the cruise will visit beautiful and historic destinations in five different countries, including Grand Turk, Turks & Caicos Islands; Cartagena, Colombia; Puntarenas, Costa Rica; Puerto Quetzal, Guatemala; and Cabo San Lucas, Mexico. Carnival Miracle will operate seven-day Mexican Riviera cruises from Long Beach featuring the seaside resort town of Puerto Vallarta and a special two-day visit to beautiful Cabo San Lucas. 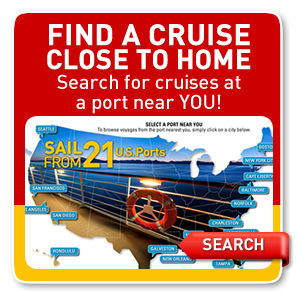 These popular cruises will be offered in April 2013 and from October 2013 through April 2014. Carnival Miracle will reposition from Long Beach to Seattle in spring 2013 to operate the line’s seven-day “Fun Ship” Alaska program. Following a special eight-day Alaska cruise from Vancouver to Seattle departing April 29, the week-long voyages will depart from Seattle every Tuesday from May 7 to Sept. 10, 2013, calling at the scenic Alaska destinations of Skagway, Juneau and Ketchikan, as well as Victoria, British Columbia, and cruising Tracy Arm Fjord. This unforgettable Alaskan experience will offer consumers myriad opportunities to explore and enjoy the awe-inspiring scenery and wildlife of The Last Frontier. Carnival Miracle will offer several 15-day Hawaii cruises in 2013 and 2014. Three cruises will operate roundtrip from Long Beach with departures on Oct. 19 and Dec. 7, 2013, as well as Jan. 18, 2014. There will also be a 15-day Hawaii cruise from Long Beach to Vancouver departing April 14, 2013 and another from Vancouver to Long Beach departing Sept. 17, 2013. These voyages feature some of the Aloha State’s most beautiful and breathtaking ports of call, including Hilo, Kona, Nawiliwili, Kahului, and Honolulu. Carnival Spirit, a ten-year old, 2124 passenger ship, will reposition to Australia to offer the line's first cruises in that region. (more on this in another post). We will take a closer look at some of the special itineraries, in other posts. The global cruise industry today announced a new emergency drill policy requiring mandatory muster for embarking passengers prior to departure from port. The new policy follows the industry’s announcement on January 27 of a Cruise Industry Operational Safety Review in response to the Concordia incident and as part of the industry’s continuous efforts to review and improve safety measures. The Cruise Lines International Association, European Cruise Council, and the Passenger Shipping Association put forward the new policy with the support of their member cruise lines. The new muster policy, which has been voluntarily initiated by the associations’ members and is effective immediately, exceeds existing legal requirements by calling for the mandatory muster of all embarking passengers prior to departure from port. On rare occasions when passengers arrive after the muster has been completed, passengers will be promptly provided with individual or group safety briefings that meet the requirements for musters applicable under the International Convention for the Safety of Life at Sea (SOLAS). The formal policy is designed to help ensure that any mandatory musters or briefings are conducted for the benefit of all newly embarked passengers at the earliest practical opportunity. Even before the Costa Concordia accident, muster drills have been evolving. With the latest technology, it is possible to scan the passenger's key card and compile a real-time list of passengers who have assembled at the muster station. Even without automation, there is usually some sort of roll call made at the muster station during the drills. The implementation varied by cruise line and possibly even the ship, based on available technology and other factors. In all cases, the minimum requirements were met or exceeded. 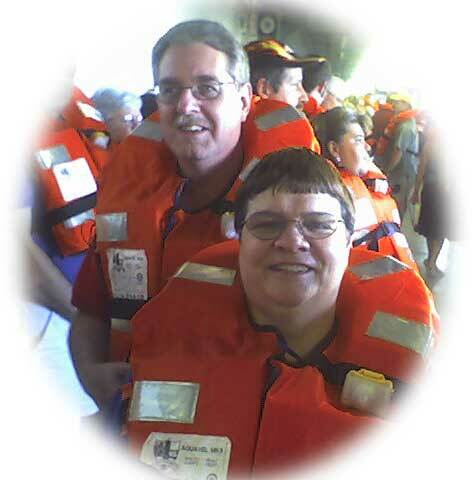 The life jackets typically have the cabin numbers on them, which was often checked when passengers arrived at the muster station. Cabin stewards would also check each cabin during the drill to be sure passengers had complied with the requirements. All public areas are closed during the drill, so any stray passengers would be redirected to their muster station, which is also indicated on their key cards. Recently, a Holland America passenger was disembarked before sailing for failure to comply with the mandatory muster drill. Under the terms of the contract which is signed when passengers embark the ship, the cruise line can refuse passage or disembark passengers for failure to comply with instructions from the Master of the Vessel or other Officers of the ship. The Muster Drill is under the command of the Captain (the Master of the Vessel). Please familiarize yourself with the location of your muster station as soon as possible following your embarkation. Safety is everyone's responsibility - not just the captain and crew. The cruise industry will continue to review the safety practices and we suspect there will be additional changes in the wake of the Costa Concordia disaster. We will continue our coverage of this very important undertaking. A second outbreak of excessive gastrointestinal illness on Crown Princess has caused Princess Cruises to end the cruise two days early. Three ships, from two different cruise lines, had delayed their boarding last weekend for additional sanitation in the wake of an increase in illness on the ship during the previous week. Crown Princess will return to its Fort Lauderdale homeport on Thursday instead of Saturday, where it will undergo two days of sanitation in consultation with the U.S. Centers for Disease Control and Prevention (CDC). Princess indicated that 114 passengers (3.7 percent out of 3,078) and 59 crew (5 percent of 1,178) on the weeklong Southern Caribbean cruise have reported a gastrointestinal illness believed to be Norovirus. Cruise lines participating in the CDC's Vessel Sanitation Program, which Princess and all major lines does, are required to report the total number of GI cases evaluated by the medical staff before the ship arrives at a U.S. port when sailing from a foreign port. A separate notification is required when the count exceeds 2 percent of the total number of passengers or crew onboard. This cruise had already been delayed six hours for the vigorous sanitation program done under CDC oversight February 4th. According to Princess, the upcoming two-day disinfection will include "bringing aboard additional cleaning crew to assist with a thorough sanitization of all public spaces and surfaces including soft furnishing and carpets, railings, door handles and the like. Additionally, once all of the passengers have disembarked on Thursday morning, all bed linens and towels will be removed from every stateroom. The staterooms will be sanitized multiple times before making up the rooms with fresh linens and towels on Saturday morning, just prior to passenger embarkation." Impacted passengers will receive full refunds for the cruise, flights home, coverage of change fees if air was not booked through Princess, hotel accommodation if necessary and a 25 percent future cruise credit. February 11th cruise is scheduled for normal departure time presently. We will monitor the situation and announce any reported changes. Norovirus is the second most common illness next to the common cold, and is highly contagious, spreading easily in confined spaces like hospitals, hotels, dormitories and cruise ships. Symptoms include vomiting and diarrhea, and millions are infected each year. It can be prevented if everyone washes their hands and uses sanitation liquids found throughout the ship. Also, if you have been sick prior to boarding the ship, please do your fellow passengers a favor and reschedule your cruise. It doesn't take much to turn a sanitized ship into a sick camp once the disease takes hold. As of press time, the other two ships that had GI outbreaks last week, Ruby Princess and Voyager of the Seas have not reported a repeat of last week's outbreak. A water taxi transports tourists last Spring during our visit to Venice. Venice is known for its lagoons and canals that connect the city on water. We visited Venice during our Mediterranean & Greek Isles cruise last June. In the first picture, we see a water taxi moving freely in rushing waters with the city in the background. The second picture paints a different image of Venice as ice hampers the movements of this small boat. Venice has not been exempt from the current freeze that has brought record cold temperatures, snow, and ice to parts of Europe snarling transportation and even causing deaths and injuries. It is crucial that the various small boats and gondolas are able to navigate the lagoons and canals of Venice. This is the primary means of transportation through the system of canals. While you'd see a box truck on your city streets making a delivery, that same merchandise is transported by boat in Venice. Our ship was docked on the outskirts of Venice at the cruise ship terminal. In order for us to tour the heart of the city, we needed to take a water taxi from the ship to St. Mark's Square. We purchased a shuttle ticket from the ship which allowed us to take unlimited water taxi rides between the two locations during our overnight visit to Venice. We also took an organized tour which met on land following the water taxi ride. We've posted some more springtime images on our Facebook Page: Venice - Water Taxi. We will continue our story about Venice in future posts. When we saw these pictures of frozen Venice, we wanted to show you the other side of the city, when the waters were running freely with boats of all sizes darting along the waterways. 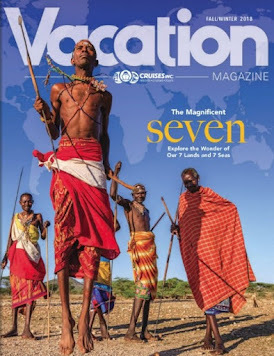 Those that read my blog on a regular basis know that our content is primarily world news, travel industry news, cruise reviews, and other articles of interest to our readers. We shy away from advertisements in the columns. 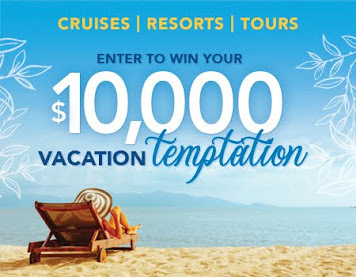 You also know that I'm an Independent Cruise & Vacation Specialist with Cruise Inc. This year Cruises Inc. and her sister company CruiseOne are celebrating special anniversaries (20 years for CruiseOne and 30 for Cruises Inc.) and our management wants to share some special offers with our loyal customers. In what it says is an unprecedented move, CruiseOne and Cruises Inc. will front customers' cruise deposits for bookings made during the rest of February, and possibly beyond. The "Advanced Deposit (Buy Now, Pay Later) Promotion" runs from Feb. 6 to 29, effectively enabling CruiseOne and Cruises Inc. franchises and agents to book clients with "no money down." The customers will then pay back the deposit when they make their final cruise payment. Dwain Wall, senior vice president and general manager of CruiseOne and Cruises Inc., said the program is expected to increase bookings by removing an "impediment to people making the decision to book." Since most clients book an average of six months out and final payment is due 90 days out, said Luis Zuniga, CruiseOne and Cruises Inc.'s vice president of marketing, the program is like giving customers "a three-month, interest-free loan." The deposit is capped at $500 per cabin, which Wall said was generally the most a cruise deposit would be. 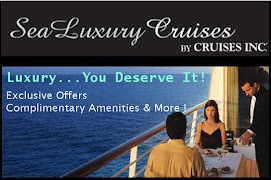 The promotion does not apply to group sales, usually eight cabins or more, or river cruises. Holiday Bills to Pay? No Money for Cruise Deposit? Why Miss Wave Season Deals? Having to pay a deposit, along with considering the cost of airline tickets if necessary, can make it difficult to commit to a cruise this time of year. That means consumers miss out on the plethora of good Wave season incentives from the cruise lines. 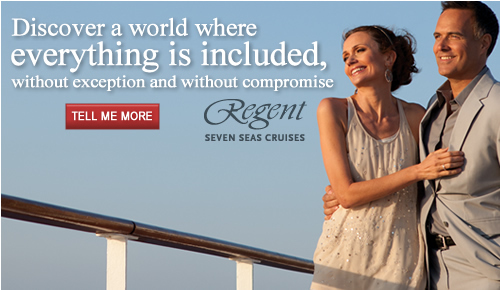 CruiseOne and Cruises Inc. have solved that problem for you. Contact Us to Book Your Next Cruise Today.